Back in 2015, the internet was awash with reports that Apple was trying to build their own electric car, dubbed "Project Titan". They even enlisted the help of BMW to use the i3 as a base model to build the car. Unfortunately, Apple reportedly had to scale back its autonomous driving ambitions from trying to build its own car to simply developing a software platform instead. 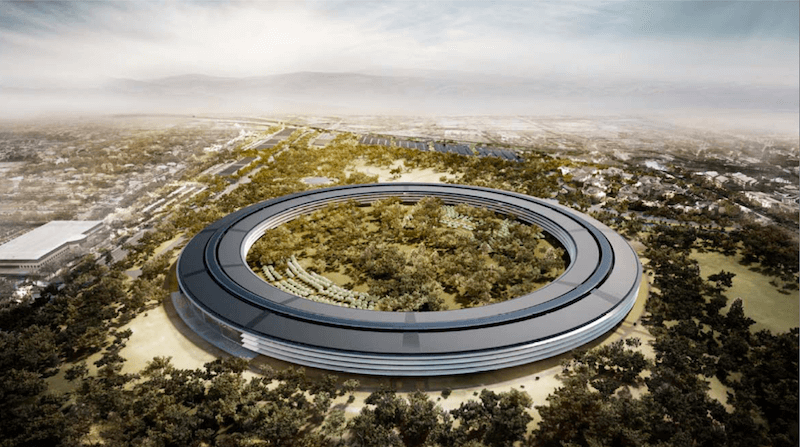 That software platform seems to be making progress as the New York Times reports that Apple is creating an autonomous employee shuttle to transport employees across its sprawling campuses. The new effort is called PAIL, short for Palo Alto to Infinite Loop which the street in Cupertino, California that Apple is located at, and a few miles from Palo Alto, California. According to the Times, "The shuttle, which has never been reported before, will likely be a commercial vehicle from an automaker and Apple will use it to test the autonomous driving technology that it develops." Other companies in the autonomous vehicle space such as Waymo and Cruise, are also providing on demand autonomous shuttles for employees in and around the San Francisco area. The NY Times report itself details the progression of Project Titan from the beginning. Project Titan engineers looked at a wide range of options including motorized doors that opened and closed silently. Interestingly, in order to fully commit to the autonomous driving ambiance, engineers also sought to design the car interior without gas pedals or steering wheels while adding virtual or augmented reality into interior displays. Apple even tried to literally reinvent the wheel by looking spherical wheels that would allow the car to move laterally. Internal disputes derailed some of the progress, however. One debate raged as to whether the operating system for the car, CarOS, would be programmed using Apple's Swift language or C++. There was also a massive debate on whether the car should be semi or fully autonomous. Apple's chief designer, Jony Ive, was firmly on the side of full autonomy because he "believed that a fully driverless car would allow the company to reimagine the automobile experience." Autonomous driving seems to be the next big technological breakthrough. Ever since the original iPhone changed the mobile landscape 10 years ago, Apple has been under pressure to produce the "next big thing". Unlike 2007 however, there are many more players in the market such as Google, Uber, Tesla, GM, Ford, BMW, Lexus who are all working on making autonomous driving into the revolution it promises to be. Time will tell if Apple will be the one to make that revolution happen. Who will be the first casualty? Will a statue be erected to his name? Will that statue survive the next 3.4 years? I love all the hate on self-driving cars.... If one of them crashes, it's all like "we have made a terrible mistake, people should be driving their own cars!!" Reehahs, Skidmarksdeluxe and H3llion like this. Thousands of people die every year in airliner and train crashes and those modes of transport are supposed to be pretty much autonomous yet nothing is ever mentioned about them. Nothing is id!ot proof. Never has been and never will be. Those naysayers and haters just have to get used to the fact that self driving autonomous vehicles are on the horizon, they are the future and there's absolutely nothing they can do about it except embrace them. Personally, I can't wait to see what happens to the insurance industry when self-driving vehicles cut the accident rate to less than 5% of what it is today. Let them try to maintain their rates in that atmosphere! The crashes in trains and aeroplanes are rarely due to the autopilot or other autonomous features. The biggest factor is their crashes is always the ***** behind the stick or the ***** in the building. Trains are hardly autonomous which is why we still see train drivers in them. Apparently it is too much for autonomy to stop just right at the platform. Now having said that, the distance covered by both trains and aeroplanes is so much greater before an accident when compared to cars so it is warranted to say that they are a much safer mode of transport. Depending on the railway concerned, the more sophisticated trains are pretty much autonomous but yes, they still have a driver and planes still have pilots and autonomous vehicles will still have drivers. No tech is never going to be perfect or id1ot proof. You just have to watch Air Crash Investigation on Nat Geo to see how wrong thing can go with tech. Even on Air Crash Investigation it is the pilot who is responsible for most of the crashes. Having said that, the only properly autonomous train I have spotted over the years are those that operate as part of London Docklands Light Railway. Multiple DLR trains which are on time and driver free, all controlled through a single control centre. Yes, I agree and even WHEN autonomous vehicles become mainstream, there'll always be the driver to take responsibility for any occurrences (presuming the driver survives that is). Fully autonomous transport systems are quite a ways off still (I'd assume). That said, next time I'm in London, I'd like to take a gander at those DLR trains you mentioned. I never knew they even existed.